Do You Surf When It’s Raining? Yes we do. With surfing you tend to get very wet anyway so it’s an activity that rain doesn’t affect too much. However we wouldn’t go in to the sea if there was thunder & lightning, fog and mist or during a hailstorm. How Fit Do You Need To Be To Take A Surfing Lesson? We ask that all our customers be able to swim at least 50m in open water, be at least 6 years of age and free from any medical problem that might put you, our coaches or other customers at risk. You don’t need to be a marathon runner or Olympic swimmer to take part but if you have a chance to do a few lengths in a swimming pool in the weeks before your lesson it will make surfing a lot easier for you. However don’t worry if you haven’t been to the pool in years, you will still be able to achieve a lot during the lessons and even just catching a wave is one of the simplest pleasures that there is. Can You Do Surfing Lessons In The Winter? Yes you can. While the surf school does close during the winter we can still provide lessons if you give us advance warning. The most important thing is to bring something to wear underneath your wetsuit. Something thin like a bathing costume or speedo’s are ideal as they are comfortable and won’t bunch up. Underwear and boxers will do but you should avoid swimming shorts, trunks or t-shirts as they can be uncomfortable. You should also bring a towel, a good quality high-factor sunscreen and some flip flops or old shoes for the walk to the beach. Yes, they are. All of the equipment that you need for a surfing lesson are provided free of charge. 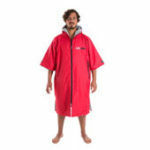 This includes surfboards, wetsuits and, during the colder months, gloves, booties and hood. You even get to use them for an extra 1.5 hours after each lesson if you want to stay out practising. Sign up for promotions, product reviews and the latest news.